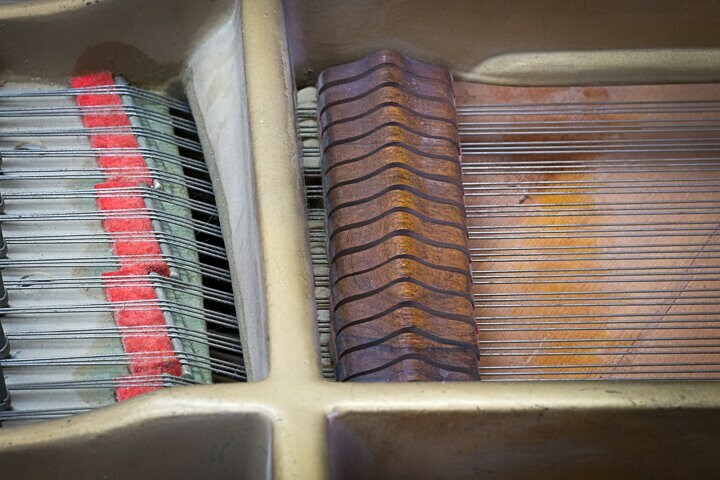 PIANO STRINGS is an original, limited edition, fine art, color photograph made by aBoBoBook photographer Rick Graves. The baby grand piano was built in 1912 by the AB Chase Company. It belongs to a friend of ours and he had inherited it from his father, who was quite an accomplished pianist. This picture was taken in April 2015, before the piano was restored.